Sudanese Communist Party suffers from continuous attacks towards its cadres. Recently two comrades, Fathi Elfadl and Taj Alsir Othman Babu, were arrested by the security forces. Sudan has witnessed mass demonstrations against the regime's economic policy resulting in serious deterioration in people's living conditions. While the Party calls for the strengthening of the building of people's resistance committees for mass actions across various sectors in workplaces, residential areas, schools, universities among workers, farmers, youngsters, women and students, Sudanese regime continues to target cadres of the Sudanese Communist Party. Sit-in protestations were held in front of the Kober prison for the release of political detainees and some of them were accordingly released as a result of the pressure of the solidarity movement exerted inside and outside the country. 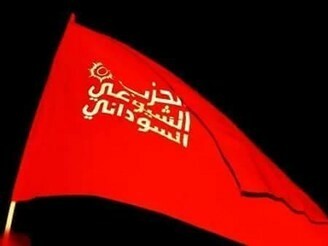 However, on the evening of March 12, security forces arrested comrades Fathi Elfadl (the media secretary of the party and its official spokesman) and Taj Alsir Othman Babu (member of the party's Central Committee), who both suffer from serious health problems and are subject to close medical observation.